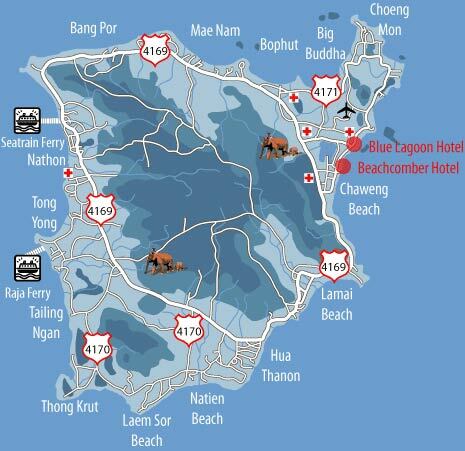 Beachcomber Hotel and its sister Hotel the Blue Lagoon are located on Chaweng Beach. 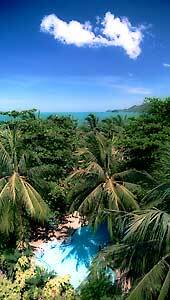 We are right in the heart of Chaweng and therefore close to large shopping and entertainment areas on Koh Samui island. It takes you only a short walk to reach the center of Chaweng. 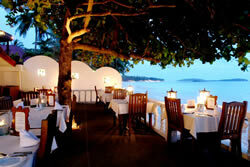 The Blue Lagoon Hotel lies at the northern and quieter end of Chaweng. If you wish to visit our sister Hotel you can do so. We offer a free taxi service between the both hotels from 9am until 11pm. We are a 3-star property that is nestled in a tropical garden ambiance between palm trees, lush bushes and exotic flowers providing you relaxed and casual atmosphere. 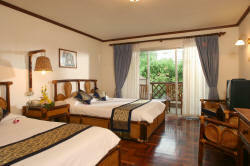 You will find a total of 50 superior and 2 Suite rooms in a 3-storey building. We also provide Kayaks and Snorkel-sets for a small fee. Just ask our beach boys! Just relax and use our pool and beach service anytime between 9am until 6pm. 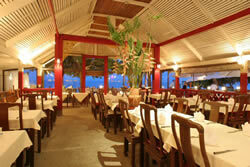 A special beach menu is available!